This is the lowest closing for home currency since November 24, 2016, when it had settled at 68.73. 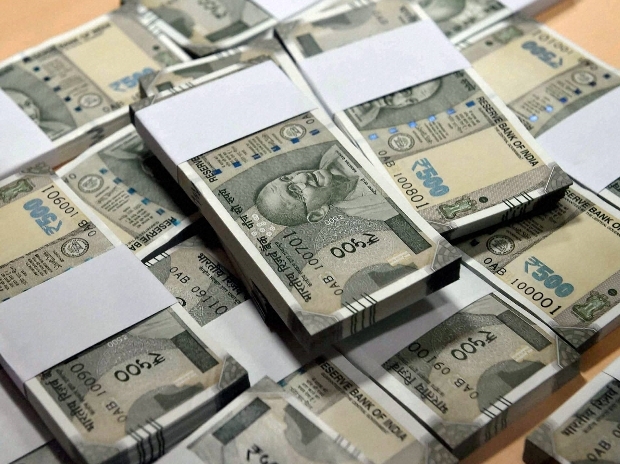 The embattled rupee today plunged by 37 paise or 0.54 per cent to settle at a 19-month low of 68.61 against the US dollar as growing crude oil prices fanned fears of a widening current account deficit and a spike in inflation. The Indian unit caved in to a fresh intra-day low of 68.68 against the dollar in afternoon deals, prompting the central bank to intervene. Investors grew more nervous that higher crude oil prices will worsen India’s current account deficit and fuel inflation. After a short break, crude oil prices rebounded after the US asked its allies to end all imports of Iranian oil by a November deadline. Concerns over supply disruptions in Libya and Canada also flared up the prices. Brent crude futures was trading up 0.5 per cent at USD 76.78 a barrel in early Asian trade. The currency market was nervous after RBI painted a gloomy picture of the banking sector in its bi-annual financial stability report. Higher inflation, concerns over fiscal deficit and hawkish stance from the RBI have driven up bond yields, hurting bond prices. The 10-year benchmark bond yield shot-up to 7.87 per cent from 7.83 per cent. Currency traders were also worried about the future of global trade against the grim backdrop of an escalating trade rhetoric between the US and China. A massive selloff in domestic equities further added pressure fearing heavy capital outflows. The rupee, which strengthened 5.96 per cent against the US dollar last year, has been on a general downtrend since the start of 2018. It has lost nearly 7 per cent this year so far. It had touched a historic low of 68.86 in November 24, 2016 and a lifetime closing low of 68.80 in August 28, 2013. The RBI’s intervention cooled the market to some extent as exporters came forward to sell dollars, a forex dealer said. Sentiment remains weak and new support levels are becoming difficult to find, he added. The RBI, meanwhile, fixed the reference rate for the dollar at 68.5246 and for the euro at 79.8654. The dollar index, which measures the greenback’s value against basket of six major currencies, was up at 94.69. In the cross currency trade, the rupee continued to slide against the euro and settled at 79.70 as compared to 79.66 and also slumped against the Japanese yen to close at 62.41 per 100 yens from 62.23 yesterday. The local currency also fell back against the pound sterling to finish at 90.45 per pound from 90.38 earlier. In forward market today, premium for dollar declined furher owing to sustained receiving from exporters. The benchmark six-month forward premium payable in October edged lower to 97.50-99.50 paise from 98-100 paise and the far-forward April 2019 contract softened to 244-246 paise from 244.75-246.75 paise previously.